Deirdre Coppedge "Deedee" is a native of San Diego. DeeDee received her Masters in Fine Arts from Otis Art Institute in Los Angeles in 1977. She continued her ceramics education with Seth Cardew at Wenford Bridge Pottery in Cornwall, England, in 1989. To develop her brush working skills, she studied Sumi Painting for seven years under Sensei Kazuko Reynolds. 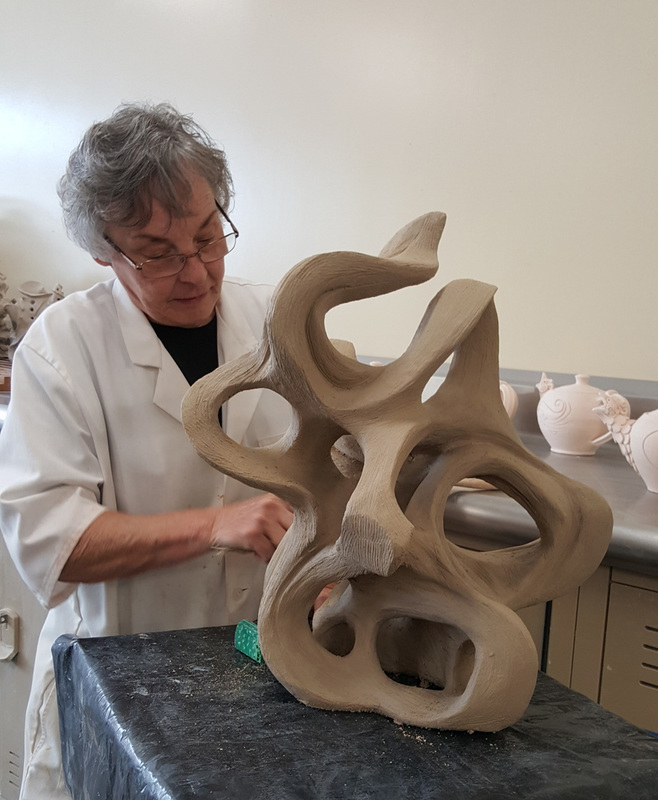 She has been a self-employed ceramic sculptor since 1979, and an art/ceramics instructor at Miramar Community College since 1993. "I have been an artist all my life, I have been fortunate to have had many great teachers who have encouraged and directed me."